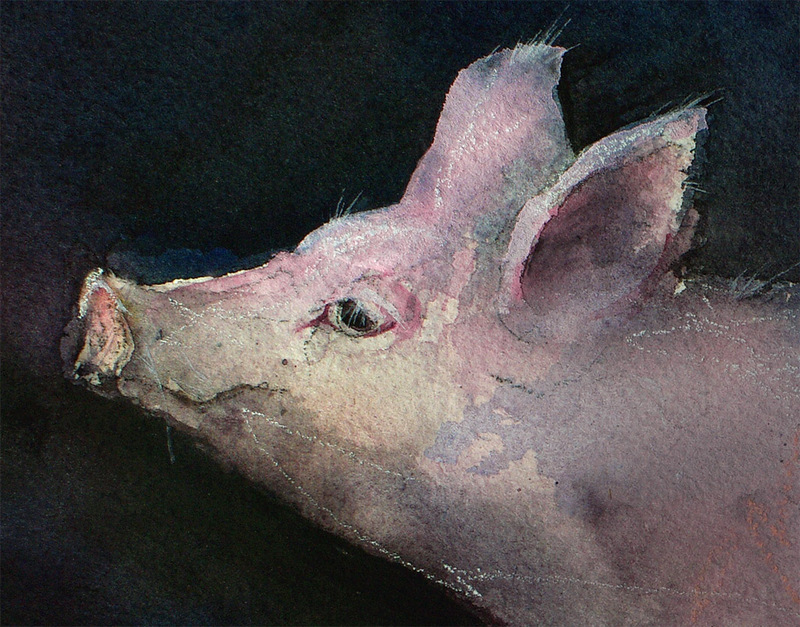 This entry was posted in Animals, Mixed Media, Painting Demonstrations, Painting Workshops, Watercolor and tagged Animals, Mixed Media, painting demonstration, pig painting, Watercolor, watercolor demonstration, watercolor painting, watercolor pig by splashingpaint. Bookmark the permalink. I have never seen such beautiful pigs – painted. 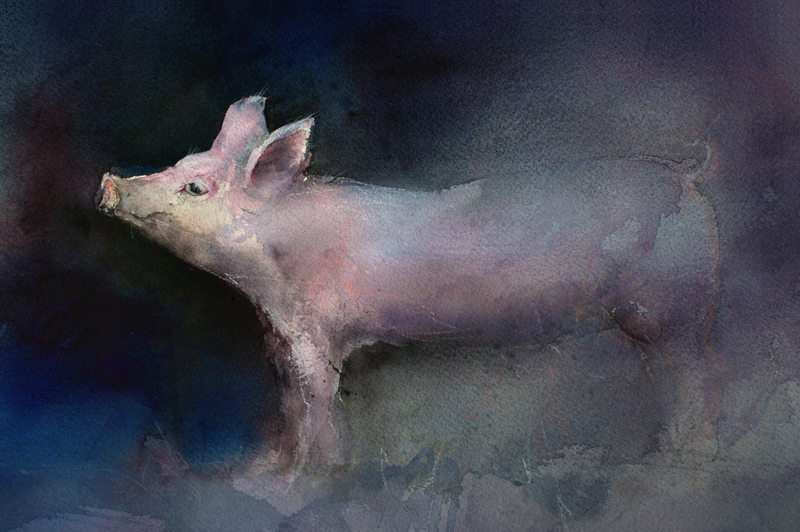 Pigs aren’t really my favourite animal but these paintings are beautifully executed. Thanks for sharing. Oink. You’ve managed to make a lovely painting out of a not terribly photogenic subject. Beautiful work! So much depth and character are coming through…I want to start painting again! Love, Love, Love this piggy painting! Your work always amazes me! 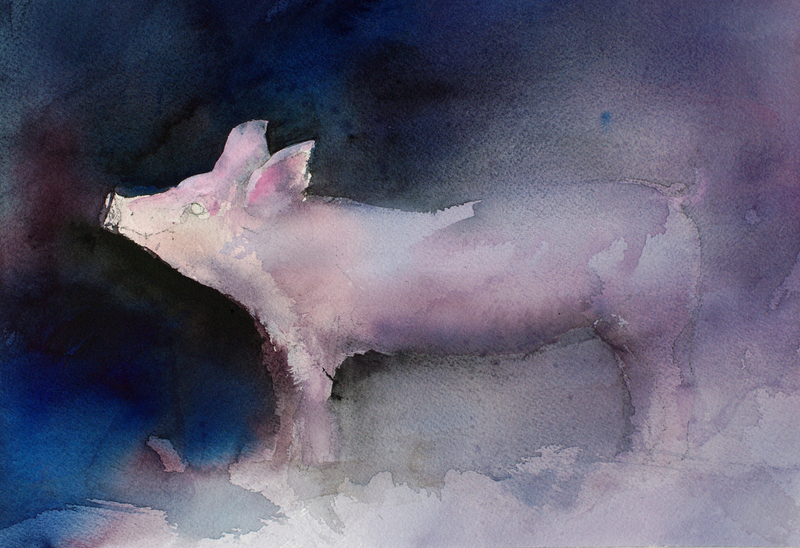 I have painted many a pig in my day but none as beautiful as this fine specimen…….pork qué ……this is enough to make me eat bacon again too……..
…wow, I never thought a watercolor of a little pig could inspire a renewed interest in painting and the desire to eat bacon again! 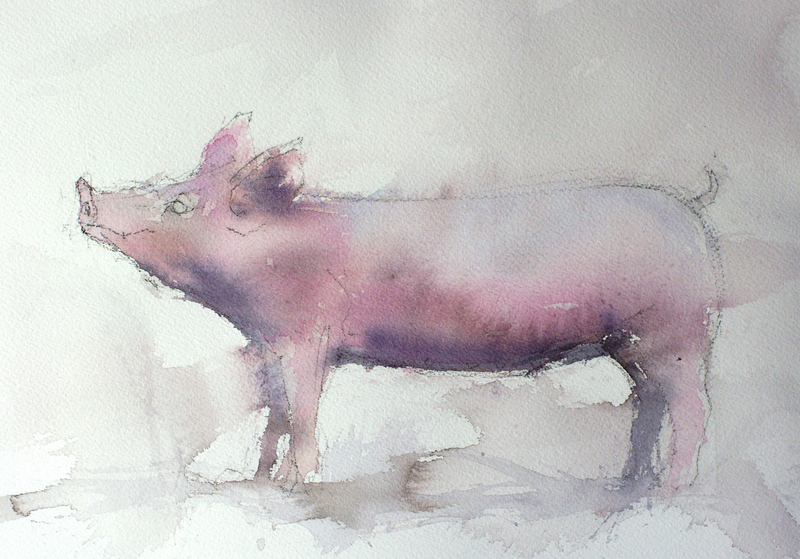 John – Your description of these lovely pigs makes me want to be a vegetarian. They are so cute and your painting is so wonderful, as usual. I love those eyelashes ! 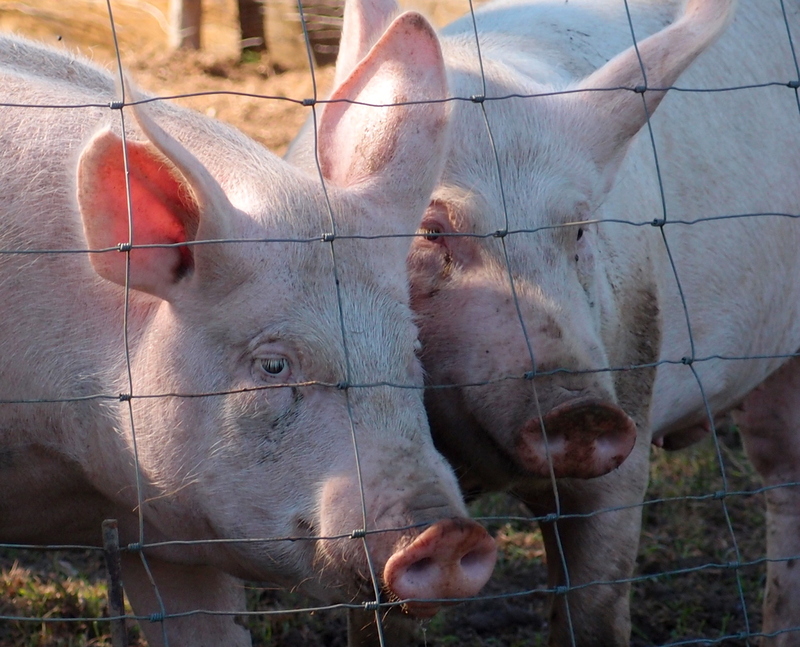 Did you know pigs are smarter than dogs?